The Greater Spokane Valley Chamber presents the 3rd Annual Power Women's Summit, "Embracing The Journey: Learn about Life & Career Enhancing Opportunities" Wednesday, June 9th at the Mirabeau Park Hotel Convention Center,1100 N. Sullivan Road in Spokane Valley. Appropriately the Keynote Speaker is one of the region's most powerful women, Kay LeClaire, Mountaineer presenting "EVEREST: Journey of Commitment." Kay will be sharing her story of taking chances beyond what most would dream of and how to make them a reality. Her belief is that we are never too old to have a dream and make choices that change our lives. The program also features "Changing Course, Twists & Turns in the Road!" with a panel of successful women who have re-invented their careers: Christina Crawford, Author, Innkeeper, Benewah County Commissioner; Peggy Doering, Executive for Valleyfest and 2009 Citizen of the Year; Roberta Brooke, MIM, Director of MBA Program at EWU; Nadine Woodward, News Anchor, Broadcast personality, KXLY Radio & TV; Nancy DiGiammarco, Director of Marketing and PR, Silverwood Theme Park; Moderated by Eldonna Shaw, CEO & President of GSVCC. 7:30am Registration, Visit Exhibitors, Continental Breakfast 8:00am - 1:30pm. Call 509-924-4994 for more information & RSVP's or register on-line under Chamber/Member events www.spokanevalleychamber.org. Victor Azar's Hummus now at the grocery store. Over the past few years, people have enjoyed Victor Azar's organic hummus at his Cafe MAC at the Museum of Arts and Culture. Two flavors of Victor's Fresh, Organic Hummus, Jalapeno and Toasted Sesame, will be launched this week and will be sold at selected stores. Some of the other Hummus flavors offered at Cafe MAC, which could also be packaged in the Future are, Lemon Zest, Fresh Basil, Chipotle, Sun Dried Tomato and others. Victor initially started thinking about doing this project to attract attention to Café MAC and The Northwest Museum of Arts & Culture. Ten percent of the profits will go to the museum and the Mac's logo and website are on Victor's label. After doing some market research, Victor found that there are very few hummus products that are fresh and organic and none are local. So this is the only Hummus in Spokane that is fresh, organic and local. Victor's Hummus is licensed and inspected by the Washington State Department of Agriculture, Food Safety Program. Nutritional labeling is not required until the sales of this product exceed a specific threshold. While the recipes are already set, every batch is tasted to insure the complete satisfaction of the consumers. Initially, two flavors, Toasted Sesame Hummus and Jalapeno Hummus will be sold at the following stores: Cafe MAC at The Northwest Museum of Arts & Culture, 2316 West First; Rosauers in Browne's Addition at 1808 West Third; Huckleberries at 926 South Monroe; Main Street Market at 44 west Main Street; and Fresh Abundance at 2015 N. Division. For more information contact Victor Azar at 509-768-3940 or via email at Victor@dzaar.com. The website is http://www.victorshummus.com. The Northeast Community Center has announced a partnership with the Yakima Valley Farm Workers Clinic and its affiliate, Spokane Falls Family Clinic, to operate a medical and dental clinic in the new expansion to the community center. At a press conference held on the construction site of the 31,000 sq. ft. building, Northeast Community Center Board President Bill Duffy, Yakima Valley Farm Workers Clinic Executive Director Carlos Olivares, and Spokane District Dental Society Foundation representative Dr. Jim Sledge, DDS, outlined the plans that will bring expanded health care to the residents of Northeast Spokane, including access for low income families. The medical services will occupy the first floor of the expansion, with 15 exam rooms and the ability to see nearly 100 patients a day. The dental services will occupy the second floor and have 15 chairs plus accommodations for oral surgery, with the capacity to serve 75 patients a day. The medical area is expected to open in January 2011 with the dental area opening in March 2011. The project is expected to add approximately 21 new jobs. Pool World is helping in the fight against Cystic Fibrosis and you can help too. Splash for CF (Cystic Fibrosis) is back again for 2010 at any of the four Pool World locations in Spokane and CDA. Last year through the help of their customers, Pool World helped raise over $4,000 for Cystic Fibrosis and this year they hope to increase that amount. There are several ways to donate to the cause, and one popular choice is to donate $10 and receive a CF bracelet which also entitles the purchaser to 5% off over the counter purchases at Pool World through August 31st, 2010. So far this year (with a starting date of May 1) Pool World has raised $1,203. 50% of the money raised stays here in Spokane and goes to Providence Sacred Heart Medical Center's Cystic Fibrosis Care Clinic and the other 50% goes to support Laps for Cystic Fibrosis and the Cystic Fibrosis foundation which does research and offers family assistance for children with CF. It's a splash for a great cause and a great way for you to save while knowing you've helped in the fight against Cystic Fibrosis. For further details and specifics about Splash for CF, call Pool World at 509-928-6585 or visit www.poolworld.biz. Taste Washington! returns to Spokane. Taste Washington! 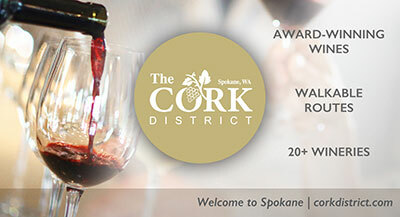 Spokane returns to the Davenport Hotel on Sunday, June 6 with more than 100 Washington wineries and many of the region's top restaurants. Attendees will have the opportunity to taste the current vintages from their favorite local wineries plus find some new favorite wineries from around the state. Spokane-area restaurants will provide scrumptious bites as well. Anthony's at Spokane Falls will return with their Oyster & Shellfish Bar situated next to the "White Out" bar, featuring seafood-friendly white wines that will make for the ultimate pairing experience. In addition, a silent auction to benefit Washington State University's Wine Business and Wine Science programs will feature large-format bottles from top-notch Washington wineries. Tickets are available through brownpapertickets.com and five Spokane-area retailers: Arbor Crest Winery at River Park Square, Latah Creek Winery, Vino! Wine Shop, William's Seafood & Wine Market and The Davenport Hotel. For additional information about Taste Washington! Spokane, visit www.tastewashington.org. Cassidy Lange joins Design Source. Design Source, Inc. has hired Cassidy Lange as a designer. She holds a Bachelor of Science in Interior Design degree from Washington State University. Cassidy previously interned at USKH and Interior Development East. Design Source is pleased to welcome Cassidy to the team. The Hillyard neighborhood presents the 14th annual ChalkArtWalk this Saturday celebrating brand new sidewalks. The sidewalks in Hillyard were replaced last Fall and Winter as part of over $17 million dollars worth of improvements to the neighborhood including new streets, sidewalks (specially designed for chalk art), landscaping, lighting, bike racks and much more. Experience the renewed Hillyard and see the sidewalks of the neighborhood get transformed as artists of all ages and levels of ability compete for cash and prizes. Registration starts at 10am on Saturday June 5th on the corner of Olympic Ave. and Market St. This is a completely FREE event! Cash and prizes are awarded for the 1st, 2nd and 3rd best designs in 5 age categories, as well as the overall "Best of Show" winner, who receives $100 and a custom-framed picture of their winning entry. This year's theme is "Under the Sea." Judging begins around 2:30pm and will be announced at the registration booth as soon as the scores are tallied. All participants will receive a small assortment of colored chalk, but additional, hand-made, more vibrant colors are available for a minimal cost (as a fundraiser for the Hillyard Festival Association). Artists are encouraged to bring their own chalk, but oil pastels are prohibited, as is surface preparation. The first 100 participants will also receive a free t-shirt featuring the 2009 "Best of Show" winning design to commemorate their participation. Individual game tickets go on sale, today, June 1st, at the Avista Stadium Ticket Office for the 2010 Spokane Indians season. Fans will have an opportunity to purchase single game tickets to watch the Indians, as they go for their 19th championship in team history. Tickets will be available for purchase by calling 509-343-OTTO (6886) using Visa, Mastercard, or American Express. Fans can also visit the Avista Stadium Ticket Office which is open from 9am to 5pm, Monday through Friday. Tickets can also be purchased at all TicketsWest locations or by calling 1-800-325-SEAT. The Indians online box office is open 24 hours a day at www.ticketswest.com, or www.spokaneindiansbaseball.com. Spokane Civic Theater announces another addition to its professional staff. Lance Mitchell joins Civic in the new position of Audience Services Manager. The Salvation Army Opens Newly Refinished Gym. The Salvation Army invites the Spokane Community to a ribbon cutting ceremony for their newly refinished gym on Tuesday, June 8th at 5:15pm. The new floor was possible thanks to Hoopfest's generous donation to refinish The Salvation Army's 20 year old gym floor as one of their community projects. The new backboards and their installation were donated by an anonymous donor. Kimmel Athletic Supply Co. and Ruehl Construction, Inc. contributed to the hoops, backboards and installation of the backboards. Contractors working on the project include Superior Floor Refinishing, LLC (Gary Meythaler), KSR Graphics (Kelly Rowe) and Ruehl Construction, Inc. (Kevin Ruehl). The 2010 Northwest Wine Summit, one of America's leading wine competitions and the largest wine competition held in the Pacific Northwest, was held in Hood River, Oregon on April 24-27, 2010. The competition attracted some of the best wine produced in the Northwest and the best talent available to judge the 1,129 wines entered from Washington, Oregon, British Columbia, Idaho, Montana, Alberta and Alaska. Liberty Lake Wine Cellars submitted two new release wines to the competition and both wines received medals of recognition. 2007 Cabernet Franc: Silver Medal - a designation for wines representing "overall excellence" 2007 Syrah: Bronze Medal - a designation for wines that are "substantially above the general market quality"
Nominate Local Women of Achievement. The YWCA of Spokane will again honor women who excel in their field of expertise or have a record of exemplary community service with the YWCA Women of Achievement Awards, to be presented at the annual Women of Achievement Benefit Luncheon on October 27, 2010. The YWCA seeks nominations in the categories of Arts and Culture; Volunteer Community Service; Professional (business, education, government or non-profit); Health Care/Science (includes math, healthcare or medicine, technology or engineering); Young Woman (High School graduating class of 2011) and Racial Justice (may be woman, man or organization). In addition to a record of exemplary service and leadership, nominees also embody the mission of the YWCA through dedication to eliminating racism, empowering women and promoting peace, justice, freedom and dignity for all. Nominations will be accepted through June 30, 2010. For a nomination form or more information about the luncheon, call 789-9304 or visit www.ywcaspokane.org. "Learn to laugh at your troubles and you'll never run out of things to laugh at." A new look for How's Business! Today we debut a new look for the How's Business newsletter. We're always looking for good news about Spokane area business, so send us yours. Thanks for reading. GSI's AGORA Awards! Tomorrow morning, 7:30 at the Davenport. 18 finalists have a chance to win one of 7 awards at The Davenport Hotel's Grand Pennington Ballroom Wednesday morning as GSI presents the 25th annual AGORA Awards for business excellence. Businesses will be recognized in these categories: small non-profit, large non-profit, small business, medium business, large business, entrepreneurial spirit and the C. Michael Archer Community Spirit Award. Finalists and semi-finalists have already been announced. There will be a reception from 7:00 to 7:30 a.m. in the Hall of the Doges and the program with breakfast will follow from 7:30 to 9:30. This year's finalists are: Small Non-Profit: Christ Clinic, Spokane Humane Society, Tincan. Large Non-Profit: Catholic Charities of Spokane, The Salvation Army of Spokane, YMCA of the Inland Northwest. Small Business: Caffe Pazzesco, Catered for You, Inc., Design Source, Inc., Stewart & Associates, PS. 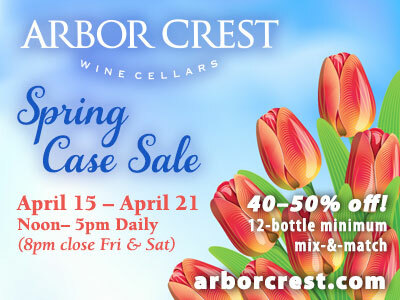 Medium Business: Arbor Crest Wine Cellars, Coffman Engineers, Inc., DeVries Business Services, Nystrom Olson Collins, Inc. Large Business: Advantage IQ, Inc., CH2M Hill, Inc., Inland Empire Distribution Systems, Inc., Moss Adams, LLP. Tickets available at the door. Rumors of a new Apple computer store at River Park Square are circulating around town, fueled by the fact that city building permit records show that Apple is doing $400,000 in remodeling work at the downtown mall. No official announcement from anyone yet. We'll let you know. CDA turns 30...no, not the lake, not the city, Contract Design Associates. Contract Design Associates (CDA), at 402 East Sprague, is celebrating 30 years in business this month. CDA works in the commercial market providing design and layout services, product sales, installation and project management for all types of businesses including banks, business offices and medical facilities. They represent Herman Miller products for the residential, commercial, and medical environments. CDA was founded in 1980 by Bruce and Jill Butterworth shortly after their graduation from WSU with Interior Design Degrees. Some of their long term customers are Washington Trust Bank, Kootenai Medical Center, Itron, Wells Fargo and Fairchild Air Force Base. The website is cdainteriors.com. Maripoul Deli and Bakery has opened a second location at 2916 South Regal in Lincoln Heights. Tatiana and Nikolay Chybenko have owned the business for the past two years and have operated the first location at 3329 East Sprague with their three sons. The European bakery and deli offers a wide variety of deli meats and cheeses, smoked fish, perogies, baked goods including breads, cakes and desserts, sodas, and a selection of grocery items from around the world. The new location is open Monday through Friday from 9am to 7pm, Saturday from 10am to 7pm, and Sunday, noon to 6pm. The phone number is 509-535-3088. Skyline social media workshop and open house. Skyline Inland Northwest presents a social media and exhibiting seminar followed by a barbecue and open house tomorrow. The seminar starts at 3 pm and the barbecue begins at 4 pm. RSVP by calling 509-892-5354 or via email to sarah@skylininw.com. Help Huckleberry's help the food bank. Huckleberry's Natural Market wants to collect 60,000 pounds of food for 2nd Harvest Inland Northwest by Saturday, June 12th and they need your help! Every dollar you donate provides 6 pounds of food to feed hungry people right here in Spokane. Donations can be made June 3rd-12th at Huckleberry's Natural Market, 926 S. Monroe. Just pick up a scan tag and add it to your purchase at the register, or bring some canned food for the barrel. Huckleberry's phone number is 509-624-1349.